Fernando Enciso-Márquez is celebrated by former students and staff before he heads off to Cali, Columbia for as a Fullbright Visiting Scholar. The McCarthy Center is thrilled to announce that our Assistant Director of Community-Engaged Learning, Fernando Enciso-Marquez, has been awarded a Fulbright visiting scholar fellowship through the U.S. State Department to partner with Javeriana University‘s Peace and Social Change Initiative in Cali, Colombia for the upcoming 2018-19 academic year. He will be working with the University’s Office of Social Responsibility, community leaders, students, and faculty to advance partnerships in solidarity with vulnerable Colombians, particularly those impacted by displacement, violence, and disenfranchisement. 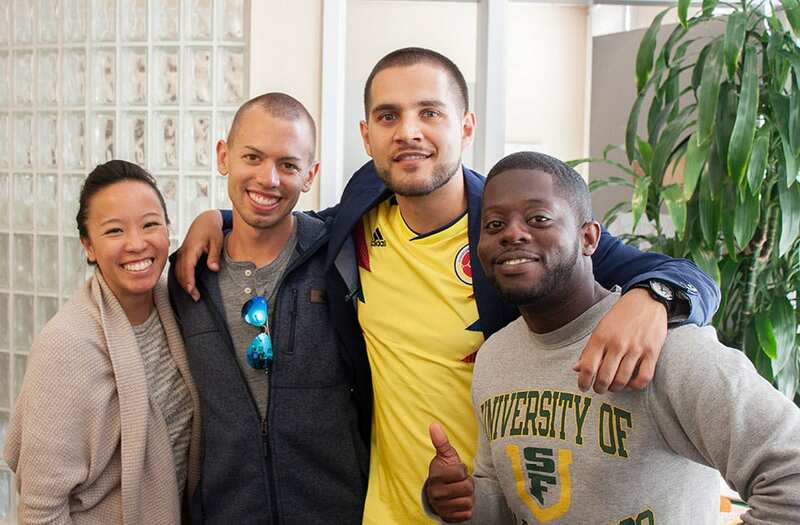 We are excited that our colleague will continue to advance higher education civic engagement initiatives by taking his USF experiences to his family’s home country of Colombia. We will miss his presence in the coming months but look forward to hearing of his challenges and successes on his return to USF in the summer of 2019. Fernando Enciso-Márquez of the University of San Francisco has received a Fulbright U.S. Scholar award to Cali, Colombia from the U.S. Department of State and the J. William Fulbright Foreign Scholarship Board. Enciso-Márquez will conduct research with Pontificia Javeriana University’s Office of Social Responsibility to advance the Peace and Social Change Initiative (Formación Javeriana para el Cambio Social y la Paz) in partnership with Colombian advocacy organizations, government stakeholders, community leaders, faculty, and students. 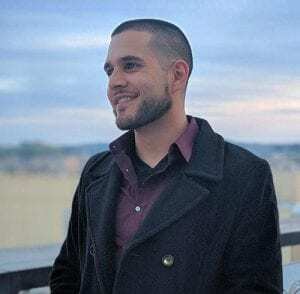 Enciso-Márquez is one of over 1,900 U.S. citizens who will conduct research, teach English, and provide expertise abroad for the 2018-2019 academic year through the Fulbright U.S. Scholar Program. Recipients of Ful- bright awards are selected on the basis of academic and professional achievement as well as record of service and leadership potential in their respective fields. The Fulbright Program is the flagship international educational exchange program sponsored by the U.S. government and is designed to build lasting connections between the people of the United States and the people of other countries. The Fulbright Program is funded through an annual appropriation made by the U.S. Congress to the U.S. Department of State’s Bureau of Educational and Cultural Affairs. Participating governments and host institutions, corporations, and foundations around the world also provide direct and indirect support to the Program, which operates in over 160 countries worldwide. Since its inception in 1946, the Fulbright Program has given more than 380,000 students, scholars, teachers, artists, professionals, and scientists the opportunity to study, teach and conduct research, exchange ideas and contribute to finding solutions to shared international concerns. Fulbrighters address critical global challenges in all areas while building relationships, knowledge, and leadership in support of the long-term interests of the United States. Fulbright alumni have achieved distinction in many fields, including 59 who have been awarded the Nobel Prize, 82 who have received Pulitzer Prizes, and 37 who have served as a head of state or government. See more pictures of Fernando’s Buen Viajeparty here. This entry was posted in Leo T. McCarthy Center (LTMC), service-learning, University of San Francisco and tagged Cali Columbia, civic engagement, community engaged learning, displacement, Fernando Enciso-Márquez, Fullbright scholarship, higher education, Javeriana University, Leo T. McCarthy Center, Office of Social Responsibility, University of San Francisco, US State Department, USF. Bookmark the permalink.